If you’ve just begun the search for a brand-new compact car, you’re probably noticing that there are a lot of choices. Allow us to draw your attention to the Toyota Corolla. Not only does it offer a fuel-efficient ride through the Avon, Indianapolis, and Plainfield areas, but it’s also quite economical and fun to drive. At Andy Mohr Toyota, we also want to point out that we are also offering fantastic lease deals on this peppy compact. Choose from several different trim levels and when your lease term is up, you may trade it in for a brand-new model. Get the best of both worlds with leasing: a brand new car with less commitment. We can’t wait for you to see the Corolla models on our lot and take your pick. Choose from the stylish Corolla SE Hatchback that offers convenient cargo access and a sporty appearance or check out the Corolla LE CVT. The LE is a good thing as a zippy little 4-door sedan in a small package. The Corolla offers everything drivers are looking for these days. They are heavy on comfort, convenience, and technology features, but offer excellent fuel efficiency and plenty of legroom. They’re stylish without being ostentatious and they’re also incredibly economical. 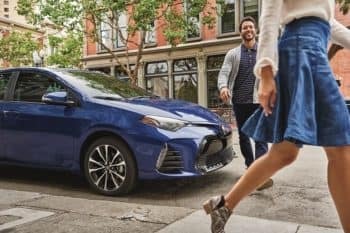 Before making the final decision, check out our website to see what lease deals we’re currently offering on the 2018 and 2019 Corolla models. Choose from some great standard features and decide which of the models works best for your needs. With one of our deals, you may end up with more car than you expected! The best way to get into a leased vehicle is to fill out our financing application online and don’t worry if your credit needs improvement. We may still be able to help get you the right lease deal. If your credit is stellar, you may qualify for some great leasing incentives. Find out more about what we offer by submitting your application. 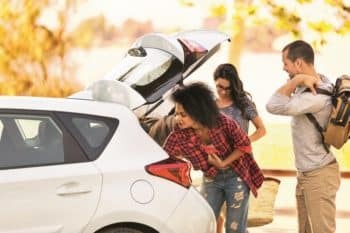 When you buy a car, you’re typically locked into a loan for a longer period of time, as the average finance term is about five years, or longer. If you like new technology and you get bored with your car easily, financed cars are more of a commitment. They work for some people, but not for everyone. With a lease, the traditional term is three years, conveniently the time it usually takes manufacturers to refresh their latest releases. This is one of the biggest advantages for people who enjoy leasing, they get the latest and greatest from their vehicle every couple of years. Don’t hesitate to get behind the wheel of a car that offers the whole package: great style, speed, and sportiness with excellent gas mileage and great prices. You deserve to turn some heads in the Avon, Indianapolis, and Plainfield areas, so be sure to come see us at Andy Mohr Toyota to get behind the wheel of your newly leased vehicle. 1 2017 EPA-estimated 30 city/40 highway/34 combined mpg for Corolla LE Eco. Actual mileage will vary.